Best Wedding Planning in Lucknow needs Best wedding Catering in Lucknow.We have tie ups with Best Wedding Caterers in Lucknow which is necessary for Best Wedding Planning in Lucknow. 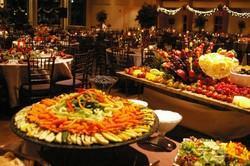 Success of any party depends upon the quality and taste of food you serve to your guests. We have tie ups with Best Wedding Caterers in Lucknow. Take some of the stress out of organising your wedding for an ultimate reception, with Greenleaf offering a touch of sophistication and elegance and a little bit of magic, so let us make your special occasion truly. The food served to the guests always decides the success of a marriage. Fixing of a talented caterer gets the same level of importance to the fixing of a decent marriage hallWe ensure that our culinary expertise produces the best food which will leave a long lasting impression on your taste buds. Green Mocktail, Water Melon Juice, Shikanjee, Jal Jeera, Aerated Soft Drink, Thandai, Ambi Panna, Rasam, Mattha. Drooly's Catering Service Pvt. Ltd.